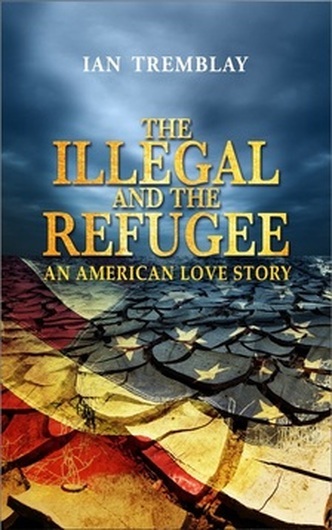 “The Illegal and the Refugee-An American Love Story,” is a tale with roots set deep in Mexico and Cuba and that comes to life in the United States. It is a story about letting go of the past, the resilience of the human spirit in the face of adversity, and of deep, unconditional love. Maria Torres is a bright university student from Mexico City and a committed social activist. She becomes gravely concerned when against her wishes, Eduardo; the love of her life decides to cross into the United States illegally and then vanishes from the face of the earth. After weeks of sleepless nights and worrisome days, Maria decides to follow in his footsteps in the hope of finding him or finding out what happened to him. She survives a treacherous and traumatic crossing of the Arizona desert on foot, ending up in East Los Angeles and an illegal immigrant. Although she has landed in a vibrant Latino-American community she quickly finds out the price her compatriots are willing to pay in order to pursue their dreams of a better life. Promptly she begins her desperate search for Eduardo, determined to find him, but as time passes by without results, an ominous cloud begins to hover over her, and doubt slowly begins to enter her heart. Meanwhile in Havana, Cuba, Ernesto Rodriguez has grown tired of living in a hermetic and state controlled country and dreams of fleeing to the United States with the love of his life Yaneti. After many sacrifices he succeeds in sending her off first on a small boat in the middle of the night and she is never heard from again. For months he languishes alone, frozen in fear and ulcerated by guilt, desperate to do something. He miraculously gets the money he needs to escape Cuba from his father’s relatives in Miami and decides to use the same smugglers as Yaneti did in order to follow her trail. He barely survives a life-threatening and harrowing sea crossing and washes up confused and half-alive on the Florida shores. Thanks to the support of his relatives in Miami, he quickly settles in and begins his new life as a Cuban Refugee, legally in the United States. Almost immediately he begins a relentless quest for Yaneti even though his parents and relatives have strong misgivings about what might have happened to her, but Ernesto is not quite ready to give up on her, not yet. Amazon, Smashwords, itunes, Barns & Noble, Google +.